There are currently 27 dogs in the Hall of Working Fame. Nominations can be made to the working committee at any time. Each year the committee may nominate up to ten dogs, whelped at least 10 years earlier or deceased, to be included in the Hall of Working Fame. The names of those dogs and their accomplishments shall be printed in the Newsletter at least 90 days prior to the Annual Meeting of the AMCA. These dogs may then be included in the Hall of Working Fame at the next Annual Meeting of the AMCA. The purpose of the Hall of Working Fame is to recognize all truly outstanding working dogs of the Alaskan malamute breed. Such dogs shall have displayed, in their lifetime, the highest standards of working ability, including, but not limited to, sledding, weight pulling, packing, police work, rescue (avalanche patrol or search and rescue), guide dogs for the blind, and hearing dogs for the deaf. 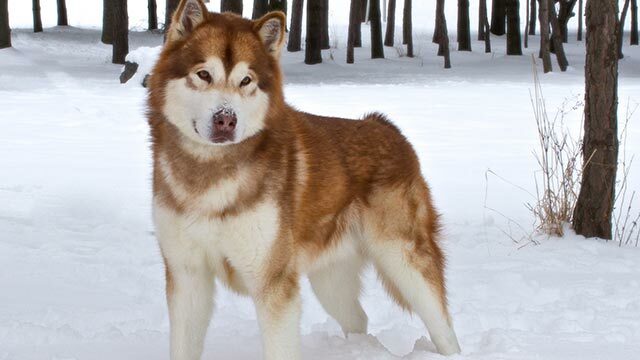 Open to all registered or registerable Alaskan Malamutes, with a recognized registry (AKC, CKC,etc. ), that were whelped at least 10 years prior to their inclusion in the Hall of Working Fame, or that are deceased. Breeding status, such as OFA or ChD, shall have no bearing on the eligibility of a dog for inclusion in the Hall of Working Fame. Malamutes shall only be included if, during their lifetime, they have demonstrated a consistent excellence of working ability. Each dog shall be individually judged, but the following criteria shall guide the committee in their selection of the Hall of Working Fame dogs. Dogs shall have made an outstanding record in National Pulls, International pulls,AMCA Specialty Weight pulls, or recognized area Sled Dog Club Weight Pulls. These having been heldunder the auspices of, or abiding with, the rules established during the period of time in which the dogcompeted, or later, under the rules of ISDRA or the AMCA. The dog shall have won at least six weight pulls,held at different locations, with a minimum of fiveother dogs in competition, and shall have pulled on avariety of surfaces. Each dog shall be judged on its individual merit. Dogs, which are considered as candidates for the Hall of Working Fame for sledding, shall be consistent sprint racers,freight racers, or long distance racers over several seasons. The dog shall demonstrate the speed and endurance of an excellent Alaskan malamute sled dog. Dogs used as members of rescue services, war, or exploration groups shall be included if they demonstrated these high qualities. The working ability of each dog shall be judged on an individual basis, making sure that each individual has demonstrated the highest standard of working competence. All dogs included in the Hall of Working Fame, whose owners are members of the Alaskan Malamute Club of America, shall be entitled to a certificate indicating their dog’s inclusion in the Hall of Working Fame. All dogs included in the Hall of Working Fame shall have the privilege of using the title,HWF, in any AMCA literature. Dogs shall not be designated as to a specific area or working ability, but simply as a Hall of Working Fame Dog.